For others of the same name, see John Crawford. John S. Crawford (September 11, 1923 — November 25, 1979) was a member of the Wisconsin State Assembly. The Wisconsin State Assembly is the lower house of the Wisconsin Legislature. Together with the smaller Wisconsin Senate, the two constitute the legislative branch of the U.S. state of Wisconsin. Homestead is a borough in Allegheny County, Pennsylvania, USA, in the Monongahela River valley 7 miles (11 km) southeast of downtown Pittsburgh and directly across the river from the city limit line. The borough is known for the Homestead Strike of 1892, an important event in the history of labor relations in the United States. The population of Homestead was 3,165 at the 2010 census. The Pennsylvania State University is a state-related, land-grant, doctoral university with campuses and facilities throughout Pennsylvania. Founded in 1855 as the Farmers’ High School of Pennsylvania (FHS), and later known as the University of State College (USC), Penn State conducts teaching, research, and public service. Its instructional mission includes undergraduate, graduate, professional and continuing education offered through resident instruction and online delivery. Its University Park campus, the flagship campus, lies within the Borough of State College and College Township. It has two law schools: Penn State Law, on the school's University Park campus, and Dickinson Law, located in Carlisle, 90 miles south of State College. The College of Medicine is located in Hershey. Penn State has another 19 commonwealth campuses and 5 special mission campuses located across the state. Penn State has been labeled one of the "Public Ivies," a publicly funded university considered as providing a quality of education comparable to those of the Ivy League. North Africa is a region encompassing the northern portion of the African continent. There is no singularly accepted scope for the region, and it is sometimes defined as stretching from the Atlantic shores of Morocco in the west, to Egypt's Suez Canal and the Red Sea in the east. Others have limited it to top North-Western countries like Algeria, Morocco, and Tunisia, a region that was known by the French during colonial times as "Afrique du Nord" and is known by all Arabs as the Maghreb. The most commonly accepted definition includes Algeria, Sudan, Morocco, Tunisia, Libya and Egypt, the 6 countries that shape the top North of the African continent. Meanwhile, "North Africa", particularly when used in the term North Africa and the Middle East, often refers only to the countries of the Maghreb and Libya. Egypt, being also part of the Middle East, is often considered separately, due to being both North African and Middle Eastern at the same time. Crawford was elected to the Assembly in 1954, 1956 and 1958. He was a Republican. The Republican Party, also referred to as the GOP, is one of the two major political parties in the United States; the other is its historic rival, the Democratic Party. Crawford County is a county located in the U.S. state of Pennsylvania. As of the 2010 census, the population was 88,765. Its county seat is Meadville. The county was created on March 12, 1800, from part of Allegheny County and named for Colonel William Crawford. Meadville is a city in and the county seat of Crawford County, Pennsylvania, United States. The city is within 40 miles of Erie and within 90 miles of Pittsburgh. It was the first permanent settlement in northwest Pennsylvania. The population was 13,388 at the 2010 census. The city of Meadville is the principal city of the Meadville, PA Micropolitan Statistical Area. As well as one of two cities, the other being Erie, that make up the larger Erie-Meadville, PA Combined Statistical Area. Beaver Dam is a city in Dodge County, Wisconsin, United States, along Beaver Dam Lake and the Beaver Dam River. The estimated population was 16,564 in 2016, making it the largest city primarily located in Dodge County. It is the principal city of the Beaver Dam Micropolitan Statistical area. The city is adjacent to the Town of Beaver Dam. John Dickinson, a Founding Father of the United States, was a solicitor and politician from Philadelphia, Pennsylvania and Wilmington, Delaware known as the "Penman of the Revolution" for his twelve Letters from a Farmer in Pennsylvania, published individually in 1767 and 1768. As a member of the First Continental Congress, where he was a signee to the Continental Association, Dickinson drafted most of the 1774 Petition to the King, and then, as a member of the Second Continental Congress, wrote the 1775 Olive Branch Petition. When these two attempts to negotiate with King George III of Great Britain failed, Dickinson reworked Thomas Jefferson's language and wrote the final draft of the 1775 Declaration of the Causes and Necessity of Taking Up Arms. When Congress then decided to seek independence from Great Britain, Dickinson served on the committee that wrote the Model Treaty, and then wrote the first draft of the 1776–1777 Articles of Confederation and Perpetual Union. Harry Roe Hughes was an American politician from the Democratic Party who served as the 57th Governor of Maryland from 1979 to 1987. John Coit Spooner was a politician and lawyer from Wisconsin. He served in the United States Senate from 1885 to 1891 and from 1897 to 1907. A Republican, by the 1890s, he was one of the "Big Four" key Republicans who largely controlled the major decisions of the Senate, along with Orville H. Platt of Connecticut, William B. Allison of Iowa and Nelson W. Aldrich of Rhode Island. He chaired the Senate Appropriations Committee. Mark William Pocan is an American politician and businessman serving as the U.S. Representative for Wisconsin's 2nd congressional district since 2013. The district is based in the state capital, Madison. A member of the Democratic Party, Pocan serves as Co-Chair of both the Congressional Progressive Caucus and the Congressional LGBT Equality Caucus. From 1999 to 2013 he served as a member of the Wisconsin State Assembly, representing the 78th district, succeeding Tammy Baldwin there, whom he also replaced in Congress when Baldwin was elected to the Senate. Glenn S. Grothman from Campbellsport, Wisconsin is the Republican member of the U.S. House of Representatives from Wisconsin's 6th congressional district. Grothman served in the Wisconsin State Assembly, representing the 58th Assembly District from 1993 until 2005, served as the vice chair of the Assembly's Republican caucus from 1999 to 2004, and as a member of the Wisconsin Senate from the 20th district from 2005–15, and Assistant Majority Leader of the Wisconsin Senate from 2011-15. Ormsby Brunson Thomas was a U.S. Representative from Wisconsin. 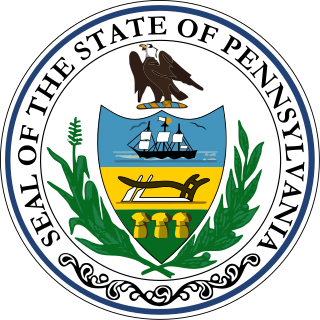 Elections for the Pennsylvania House of Representatives were held on November 7, 2000, with all districts being contested. State Representatives are elected for two-year terms, with the entire House of Representatives up for a vote every two years. The term of office for those elected in 2000 ran from January 3, 2001 until November 30, 2002. Necessary primary elections were held on April 4, 2000. 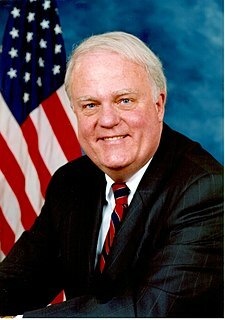 Frank James “Jim” Sensenbrenner Jr. is an American politician who has represented Wisconsin's 5th congressional district in the United States House of Representatives since 1979. Currently serving in his 21st term in the house, he is a Republican. Wisconsin's 5th district, the state's most Republican, includes many of Milwaukee's northern and western suburbs, and extends into rural Jefferson County. It was numbered as the 9th District until 2003. Robert F. Ziegelbauer is an American politician who served as an independent member of the Wisconsin State Assembly and is the current County Executive of Manitowoc County, Wisconsin. He represented the 25th Assembly District from his election in 1992 until 2013. Barbara Brandriff Crabb is a Senior United States District Judge of the United States District Court for the Western District of Wisconsin. Lafayette Monroe Sturdevant was a Wisconsin lawyer and politician. Dana John Wachs is an American lawyer and politician who represented the 91st District in the Wisconsin State Assembly. Wachs was a candidate for Governor of Wisconsin in 2018. Earl Gilson was a member of the Wisconsin State Assembly. Daniel G. Fenton was an American lawyer and politician from Prairie du Chien, Wisconsin who served as a Democratic member of the 1st Wisconsin Legislature from the Wisconsin State Senate's Third District. Buel Eldridge Hutchinson was an American politician and lawyer. James Buchanan Hays was an American legislator and jurist. William Henry Evans was an American lawyer and farmer from Yankeetown, Wisconsin who spent a single one-year term as a Liberal Reform Party member of the Wisconsin State Assembly from Crawford County. ↑ Members of the Assembly. Wisconsin Blue Book. Retrieved 2013-06-18. ↑ "Crawford, John S. 1923". Wisconsin Historical Society. Retrieved 2013-06-18. ↑ The Wisconsin Bar Bulletin , Volume 53. Wisconsin Bar Association. 1980. p. 73.